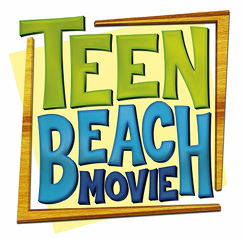 Teen Beach toys come from the Teen Beach Movie and are made by Vivid Imaginations. Vivid are the UK’s biggest toy company with a large portfolio of licensed properties. Creators Disney hope that Teen Beach could be as popular as High School Musical. Teen Beach Movie stars Ross Lynch as Brady and Maia Mitchell as McKenzie. 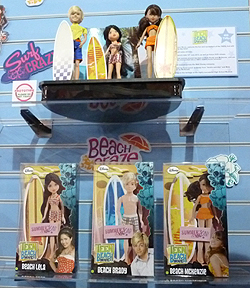 To coincide with the movie’s autumn launch, Vivid are releasing a range of Teen Beach dolls, accessories and collectable toys aimed primarily at the girls market. 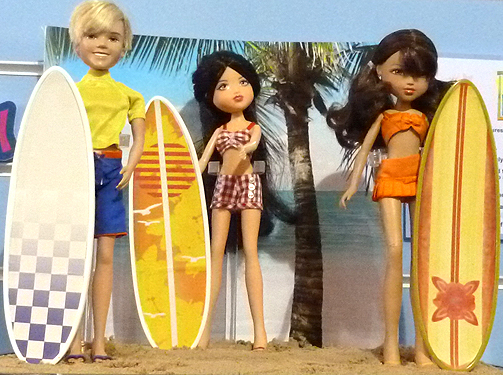 Initially there are two sets of three deluxe dolls to collect each with a different Teen Beach theme. There’s a Pop Star set with Lela, Brady and McKenzie and a Beach Craze set featuring Beach Lela, Beach Brady and Beach McKenzie dolls. Look out also for Vivid’s Teen Beach Singalong Microphone toy available this Summer. This entry was posted in Teen Beach and tagged Teen Beach Toys. Bookmark the permalink.